We started our last full day with a traditional breakfast on the terrace. Then had a session at the nearby hamman (spa)!! Random, but the lovely clutch I brought in the souks! The riad we stayed at. 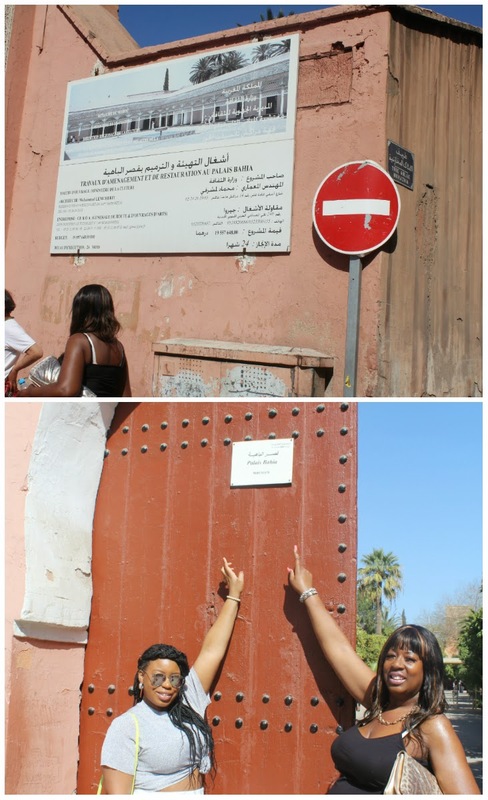 We took the taxi to Bahia Palace. The palace was STUNNING. Beautifully designed and awesome architecture. We had a nice time exploring the grounds and taking pictures. So many orange trees too, they looked so fresh in the sun! Haha! Our photographer (the security guard) really enjoyed playing with my hair haha! F.Y.I. there are cats everywhere in Marrakech! A young boy spotted us and helped us get to a local synagogue, in the Jewish quarter. So we followed him down an alley... (do be careful, obviously). The synagogue was stunning, mainly painted blue, it reminded me of Chefchaouen, a town in Northwest Morocco painted blue! It was such a peaceful place, it gave us time to reflect. From there, we followed the young boy to his brother's shop, where we spent over a hour trying lotions and potions! We purchased something for everything haha- especially lots of traditional Moroccan tea!! 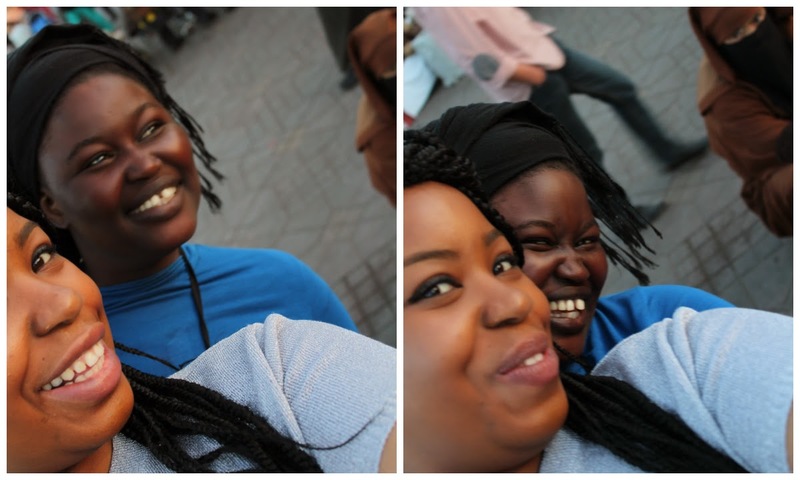 We had just enough time to hit up Jamaa El Fna one more time, where we, of course, filled up on orange juice. We also saw and got talking with some people originally from Senegal, West Africa. We were memorised at how she was doing her brother's hair and from there we spent time finding out about them and how they ended up in Morocco. Incredible stories! They were so friendly, we couldn't go without supporting their businesses. 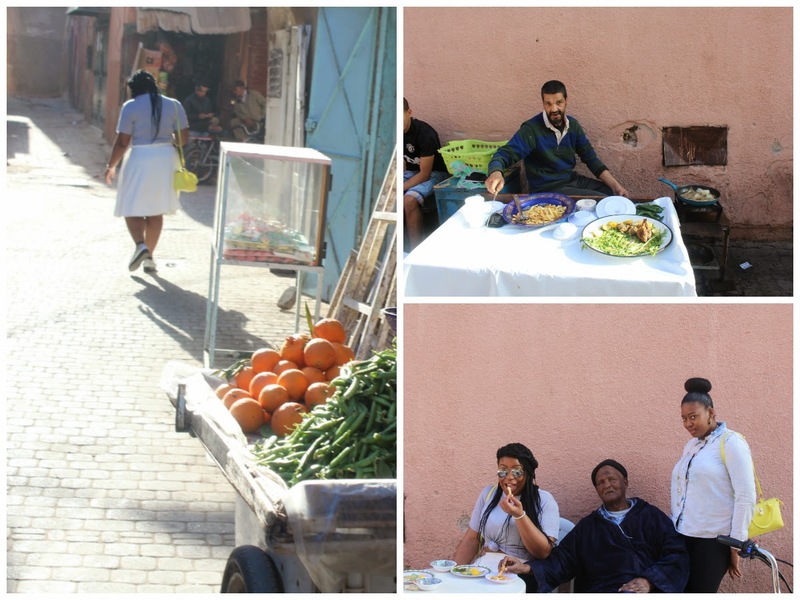 There are so many Senegalese in Morocco (we also met some in Casablanca), it's the side of Morocco you don't see in the brochures! From the square, we had to rush back to the riad where our ride was waiting for us to take us to the airport :( We had a 40 minute flight to Casablanca to catch. There were only 5 passengers (us included) on the plane!! (you've got to think, there should be a de minimis right?! Haha). We spent the evening/morning in Casablanca and had some time to hit up a beach before we had to head back to the airport to get our flight to London. Something caught our attention haha! Have you been? It is a must!